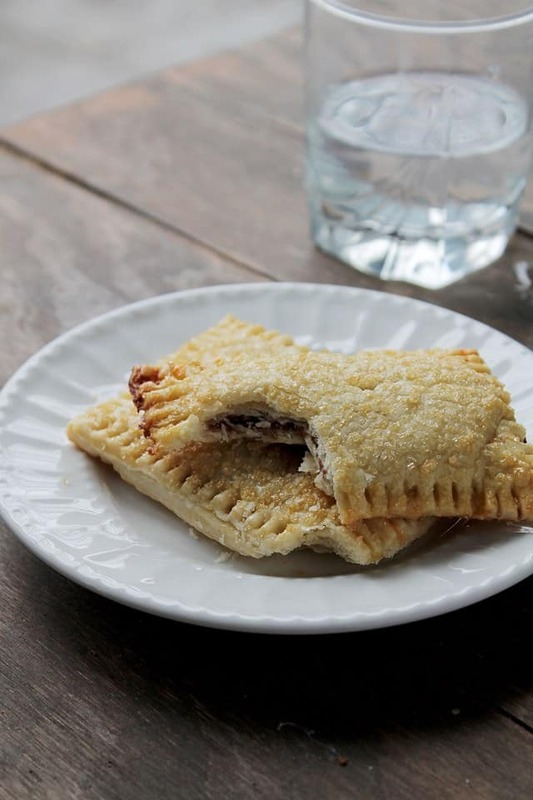 I finally had a chance today to open up my site and see if anyone liked my easy-peasy pop tarts. Imagine the look on my face when I saw that not one person had even clicked on today’s post. It’s been “Live” for 12 hours!! 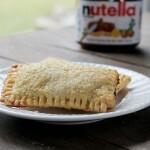 Um…so I thought… The first words that came out of my mouth were, “Wow…nobody likes Nutella Pop Tarts?!?”. After a few moments of confusion, I noticed that today’s recipe wasn’t even posted! I thought I had this blog post scheduled to go live at 5:00 this morning. I could have sworn that I hit that “schedule” button a couple of days ago. But, in my defense, you are “looking” at a Mom that has not slept much in over a week. That could be the reason why I think I did something, but really, I didn’t. Ana, our 3 year-old, has strep throat, and our almost 8-month old has the flu. Boooooo! I am thinking about flu shots, now. I have always been against them, but I’m not sure anymore. I hate seeing my babies like this. Argh. Are you for or against flu shots? Oh yeah, the Pop Tarts! Do you have some pie crust sitting around? Store-bought is fine, too. How about a jar of Nutella? Or a jar of jam? You do?!? Well, then, go make these! They will take you all of, oh I don’t know, 20 minutes! 30 tops! Lightly dust a work surface with flour and roll out 1 pie-dough portion to about 1/8-inch thickness. Repeat with the second pie-dough. Cut out 6 to 8 rectangles (around 2-inches wide by 3-inches tall) from each pie crust. *You can reroll the dough-scraps into 1 or 2 more tarts. Transfer the rectangles to a baking sheet lined with silpat or parchment paper; leave 2 inches of space in between. Spread a heaping tablespoon of Nutella on half of the rectangles. Using a fork, lightly prick a couple of holes on the rest of the rectangles. 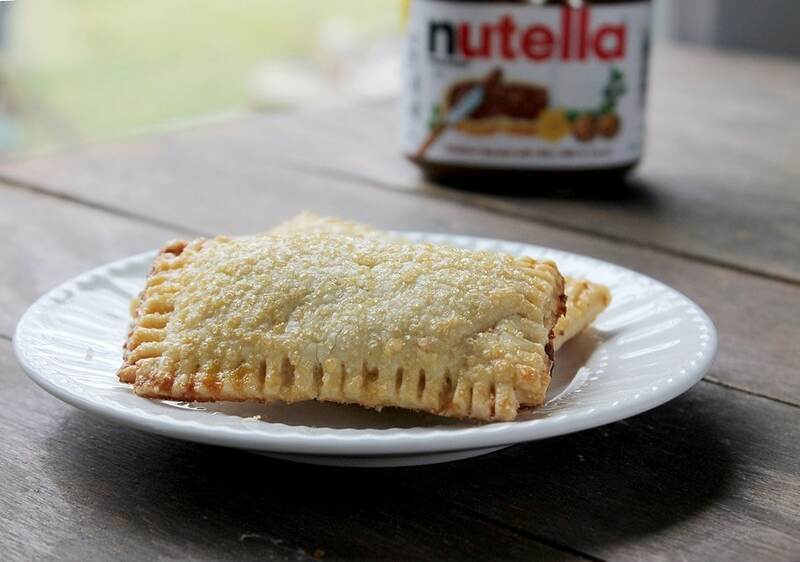 Place the pricked rectangles on top of the Nutella. Crimp the edges of the tarts with a fork. Whisk the egg yolk and water in a small bowl; brush each pop tart with the egg wash.
Sprinkle turbinado sugar on top of each pop tart. Bake for 13 to 15 minutes, or until golden brown. Let cool for a few minutes and serve. Oh my G-iggity-od. Thank you for this. I know there are people that don’t “believe” in immunizations/flu shots – but let me tell you a story about my mother. It was before the polio vaccines and my older brother was about 4 years old. He had a play date with the little girl next door, and they had played ALL DAY, mostly in the sand box. That night an ambulance came and took the little girl away, my mother soon learned that she had come down with polio and died very quckly from complications. She was told the incubation period was 60-days. Can you imagine the terror my mother went thru for 60 days? She still talked about it until she passed away. Every sniffle, every cough, every tired face….she compulsively took his temperature. She would ever get up every couple of hours all night and check on him. Luckily he remained Polio free. So, she was a HUGE supporter of anything we can do to protect our children and ourselves. I myself didn’t get a whooping cough booster (didn’t even know about them) and about 4 years ago got a double whammy of H1N1 and whooping cough. I can’t imagine watching my child, or my granddaughter be as sick as I was — so please help keep yourself, your children, and your fellow human healthy. Keep up on flu shots, and immunizations. It’s a modern medicine miracle that saves lives. I agree. Vaccines, I believe, are a must. Flu shots is the only thing I’m not keen on… BUT this winter might have changed my mind. We all had the flu 3 times in a course of 5 months. Ugh. Thanks, Andrea, for weighing in! Have a great weekend!! I’m a health educator and I totally agree! Actually, my mother had Polio (before there was a vaccine) when she was young too. It cleared up, BUT now that she’s in her 80’s she has incurable neuropathy in both her legs and is agony every day, she also now drags one leg. It’s offal! So just because you think you may be “cured” from something – it may come back to haunt you later…get the shot!! For you, your kids, and everyone you may encounter. these are the bomb!! I made them heart shaped for Valentine’s Day. so yummy! That is great!! So glad you enjoyed them! Happy belated Valentine’s Day! These look mouthwatering!! And my 7 year old will eat Nutella on just about anything, so I can’t wait to try these! Can you tell me if you’ve tried to freeze them? I was just thinking of making 10 or so up and then freezing them for a quick on the go breakfast for him! Thanks for sharing! So sorry for the babies…I hated when mine were sick and now that they are 22 and 19 I still don’t like it. I definitely get the flu shot. I work in the medical industry and see so much yuk without it. FACT: you don’t get sick from the flu shot….if you do you already had something brewing. The one time I got a flu shot I got sick and I never get sick…so I haven’t been back for one since. My mom swears by them, though. Hope your little ones are feeling better by now. Yum!! These pop tarts look Amazing! Kate, I understand about post confusion! I was foolishly typing up posts in between games at my son’s wheelchair basketball tournament (hey, the gym had wifi . . .) and somehow posted instead of scheduling it for a few weeks later like I’d planned. So when someone commented on the post I was really freaked out until I realized what had happened. I hope your babies are feeling better–I’m going to share this with a friend who just moved to Germany and doesn’t have a toaster. She can DIY her pop tarts! these pop tarts sing to me. I can’t wait to make them for my kids. i wonder if i can slip in a few banana slicesAs for the flu vaccine….it’s hard to say. you have to do what works best for you and your family. the oldest of my three had the flu once and spent his 4th birthday and then some, in the hospital with pneumonia. i couldn’t take seeing him suffer like that. All three of my children have nebulizers and because of that, I don’t take any chances and I get them vaccinated every year. I hope your kids are feeling better! I am a total germaphobe and terrified of getting sick, so I am definitely pro flu shot. It’s such a simple way to protect you and your family. I love homemade pop tarts. I bet Biscoff would be great in these too! Ramona – Just so you know, the flu shot is to protect against influenza, not the stomach bug! Sorry your family got sick though!! Love this pop tarts! Why would you even buy those prepackaged ones? These are seriously gorgeous pop tarts, I mean is it possible not to love nutella? p.s. concerning flu shots, I am absolutely against. In the long run they do far more damage than benefit. I am definitely pro flu shot. It doesn’t cover every flu out there but I like to think it helps us avoid most of them or have a less severe case if we do catch it. Hope everyone is on the mend quickly. As for your thinking you hit Schedule and nothing happened? Been there, done that and don’t even have sleep deprivation to blame. Your pop-tarts look wonderful and, I am sure, better than anything that comes in a box! I’m sorry about your sick kiddos. I hope they get better soon and that you manage to steer clear of both illnesses! Moms HAVE to be healthy. the pop tarts look amazing. Of course, I’ll have to substitute the filling, but I’m loving the sugar sprinkled on the crust. I could just eat that and die happy. I may be the only blogger left who has never made homemade poptarts, yet growing up they were my ultimate comfort food. Love them. And yours look so perfect! Hope the kiddies are better soon! Yum, these look so delish! I think I need one for a midnight snack :). My son is sitting with me and he wants one of these right now! “Oh yeah!” were his exact words. 😉 As for flu shots, I used to be against them until Mr. N was born early. His lungs were so fragile so we started to get them. My husband also has asthma, so that’s a concern. Oddly enough, hubby did get the flu this past weekend despite having had the shot. Fortunately the rest of us seemed to have missed it. So is that thanks to the flu shot or the quarantine I put him on. Who knows. Hope your babies are healthy soon!!! You went there. And they’re awesome. And I love Nutella and have like 3 jars b/c I am getting ready to make something with it. And now I see these…delish! I am all for flu shots. Your dear little angels……I hope they are better soon. 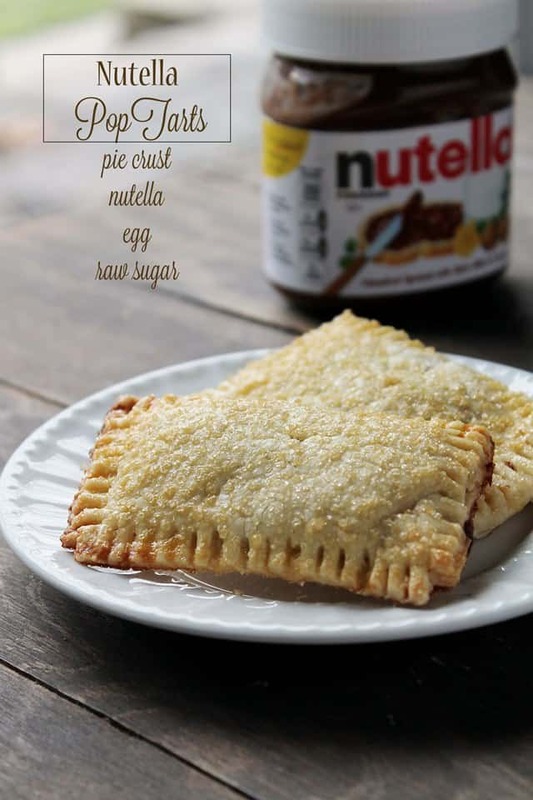 Love the idea of Nutella Pop Tarts. This is perfect for my daughter’s friends who are over for a play date next weekend. I don´t know about flu shots, but I´m so pro nutella pop tarts! You made something that I had thought about making for the cafe, but just never happened. Love them!